Just call her Angel, of the morning profit report. Angel Quintana is the innovative and brilliantly creative entrepreneur's entrepreneur. She is the founder of Holistic Fashionista magazine and an elite coach whose signature mastermind coaching program, Signature System, brings on the power of the profits. Her motto and method is simple: be true to you and allow your real self to shine and express itself through your business and brand. So far, the results are heavenly. Angel explains more in the following interview. In a nutshell, what is the Signature System Coaching Program all about? Signature System is about taking all your talents, expertise, education, and life lessons to create a unique combination of steps to solve an urgent problem in the marketplace that only YOU can solve. How did you take all the best advice out there for entrepreneurs and incorporate it into your own customized coaching strategy? This is a really brilliant question! I just pulled out the strategies that I was truly interested in and wanted to master. I left out anything that felt was too boring or mundane to me and just kept it about what made ME tick. I figured if I was interested I could master it. You should only teach things you are passionate about and what you are a master in. Define individuality, your concept of it, and how does it work as a major principle in the Signature System? In my own words individuality is the pinnacle of good branding. It is the core of who you are and what vibe you give off into the world. It is also the main ingredient to discovering your Signature System because it is how you will differentiate yourself from the rest of the people out there selling something similar. Even if someone is selling a similar service or product, it will never be quite like yours because no one is you; no one has your unique combination of expertise, education, talents, and life lessons. How did you Beta test this coaching style when you launched it? What elements did you look for when refining your method before it officially launched? Beta testing is just like any beta version of a software or testing period. You have to test your product to see if it produces results. Beta clients are a necessary step to discovering if your product/program actually works--- I beta tested 3 clients and each of them produced results. I didn't refine any part of my method because it was working. However, I did eventually launch a Product-Based Business version of Signature System to help wholesalers and retailers about a year later. What kind of knowledge and skills gaps did you want to fill for entrepreneurs when you were developing the method to improve the bottom line of your clients? I am particularly obsessed with branding and made that my primary focus as I helped clients develop their Signature System. For me, branding was the New Sales Pitch--- I teach my clients that selling is actually a combination of your relationship with money and your branding. If you have a good relationship with both, hard-selling (or desperate selling) is unnecessary. Any particular case studies of Signature System clients that really transformed and stood out in your mind as a "Cinderella story"? I've had numerous clients get their first batch of clients before finishing the Signature System program. My 4th step in my Signature System is all about money and marketing, which is when my clients get the green light on how to market their products + services. A lot of my clients are coaches in the making and most of them charge $3000 or more for a coaching program. It's a Cinderella moment for me when I receive an email about their first big sale. It's the most amazing feeling in the world. How does the Signature System fit into the Holistic Fashionista philosophy? The most important part of the Holistic Fashionista philosophy to take away is to get comfortable in your own skin. There will always be haters who don't like you no matter what face you decide to show to the world-- so you may as well embrace your individuality. The sooner you can be okay with who you are and actually show that in your branding, a magical shift will happen in your business-- that's the essence of Signature System. 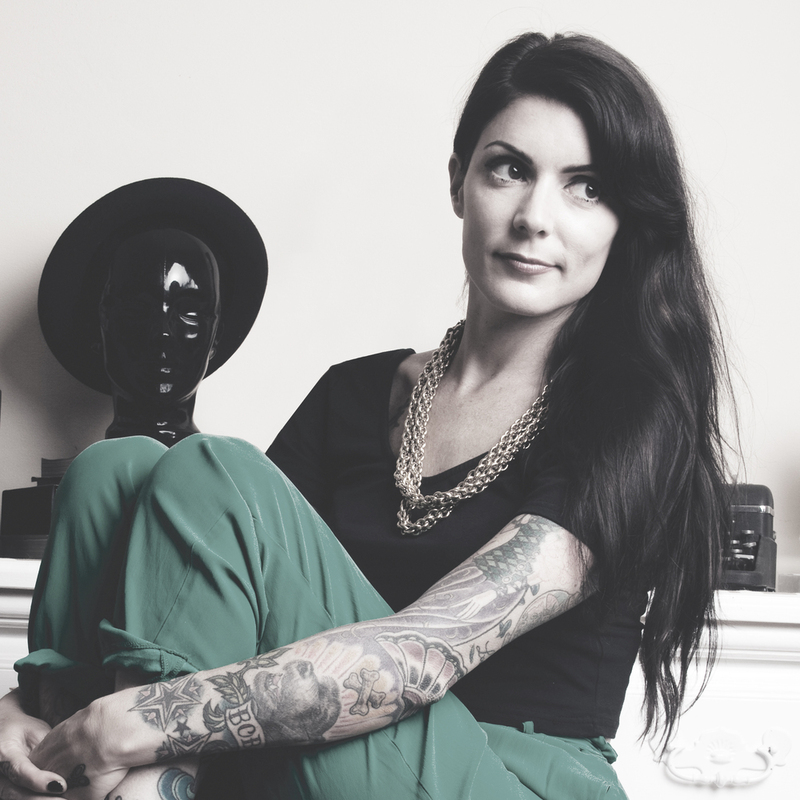 A true Holistic Fashionista exudes qualities of a rebel, tastemaker, and visionary. She never copy-cats. She doesn't care what people think of her. And most of all she understands the value she brings to the world and charges accordingly. When working with clients what approach do you take in order to help them capture their unique essence for branding purposes? I'm a listener at heart. Because I am an introvert, my creative process happens when I am alone or when I am being quiet. During Signature System I never try to talk someone into doing something-- I wait. I listen for them to get excited. Then I internalize it and decide if it's something someone would whip out their credit card for. My favorite part of helping them capture their unique essence is when I get to show them visually what their brand could look like-- the logo, the color story, the tagline. A vibe is created when visual interpretations of your brand create a feeling and that happens with an excellent brand image. Tell me about your personal story that inspired Holistic Fashionista and Signature System? After getting certified as a nutritional consultant and holistic health practitioner, my education turned on a huge light bulb in my head. What I learned astounded me about who the power players are in our society and how they are weakening our immune systems, keeping us thinking small, and numbing our creativity! After changing my focus to branding and marketing, I decided I would help the holistic community build their brands so I could create positive change in the world faster. I'm a highly impatient person and while that is usually not such a fabulous quality in this instance I believe it is. What's next from Angel Quintana in terms of products and services under the Holistic Fashionista? Holistic Fashionista is simply a platform I use to continue to serve my clients. I want to continue to bring them opportunities to showcase their Signature System, expertise, awesome products, and killer services. There are so many women in our tribe who are truly shaping the world and bringing about positive reform. It has always been my intention to build a tribe of leaders who will make the world a better place to live-- as grandiose as that sounds, I won't stop trying until I'm six feet under.